The newest addition to the master planned River District Vancouver South real estate development are the Avalon Park condo concrete towers. Previews are starting Spring 2017 and the 1, 2 and 3 bedroom homes start from $359,900. With shops, cafes, groceries, eateries, parks, co9mmunity centre, walking paths, an elementary school and daycares, it has every amenity you’ll need. It even has its very own farmers market. Avalon 2 Vancouver River District condos are the latest addition to this award winning neighbourhood. You’ll love to call it home. Hundreds already do. 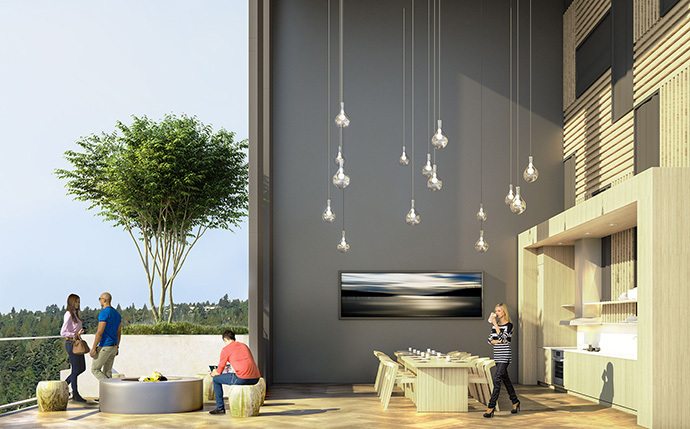 Avalon 2 is a collection of homes at Avalon Park River District in South Vancouver, featuring generous homes and spacious city homes in two concrete towers overlooking an elevated garden courtyard. 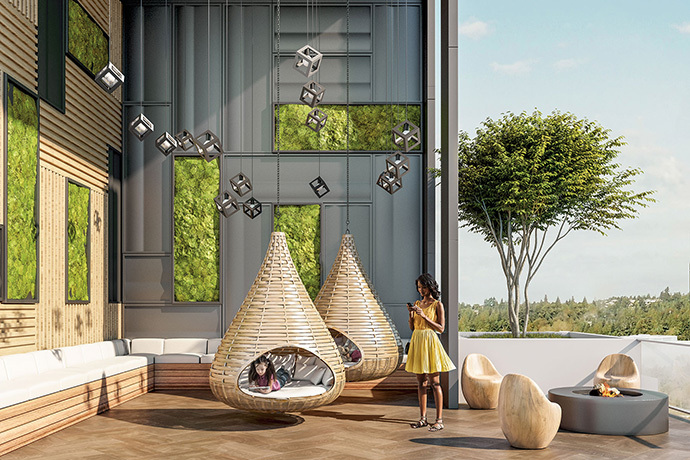 Situated adjacent to Avalon Park with close access to two sports fields, riverfront walking and cycling paths and 25 acres of public green space throughout the River District, the new Vancouver Avalon 2 condos puts you front and centre in the recreational capital of this area. In addition, urban conveniences are just minutes walk away and includes the River District Town Centre, Save-On-Foods, Starbucks, TD Bank and eateries. As well, the River District Centre near Avalon 2 Vancouver condos features a farmers market, yoga, movie nights, Urban Rec beach volleyball tourneys and much more. The neighbourhood is planned for maximum mobility for pedestrians and cyclists with a network of interconnected streets, sidewalks and walking paths. 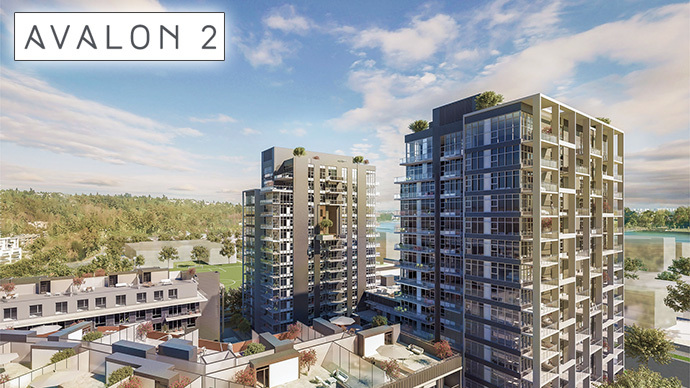 For more information about the River District Avalon 2 condos in South Vancouver, please visit www.riverdistrict.ca today. You can also register your interest on this page for the latest availability, floor plans, pricing and features. Avalon Park is brought to you by Wesgroup Developers. 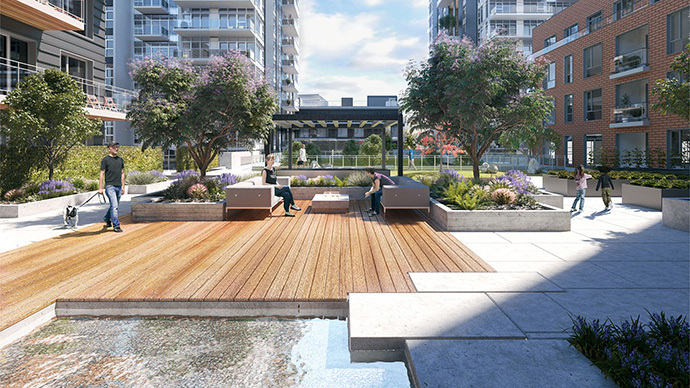 Besides the extensive network of riverfront paths and meandering pathways through River District, the Avalon 2 condos will also feature on-site amenity spaces which include the three storey SkyLounge and SkyBar which includes a kitchen and dining space, a patio level Garden Lounge with a children’s play area, family seating and more. The architecture of the Avalon 2 condo building is modern West Coast with an inspiration from the area’s industrial heritage and features durable exterior materials. Other amenities at the River District Avalon 2 Vancouver condos includes a fully equipped fitness room with cardio and strength training equipment, two professionally finished guest suites, a meeting room, multi-purpose room and secured bike storage. There is also underground parking. There’s an enterphone at the lobby and parkade entrances as well as restricted elevator access. All homes come with the 2-5-10 Year New Home Warranty by Travelers. The living spaces at Avalon2 Vancouver are sophisticated with luxurious design details and features two designer colour palettes. There is a high efficiency heating and cooling system controlled by a wifi enable thermostat in addition to pre-wiring for internet and cable plus a complimentary Telus package that includes telephone, cable and internet for one year for presales homebuyers. As well, the presale Vancouver Avalon 2 condos will feature energy efficient lowE glass windows and full sized front loading Whirlpool washer and dryer in addition to sleek modern roller shades throughout, lush carpets in the bedrooms and warm, laminate wood floors in the entry, kitchen, living and dining rooms. The bathrooms at the Avalon River District condos features spa like finishes and elegant touches such as energy efficient in floor heating, porcelain tiled floors, custom medicine cabinetry with mirrored front in the ensuites, designer accent wall in the ensuite and frameless glass shower with built in shower niche. There’s also a luxurious soaker bath tub and sleek single hand bath package by Kohler. 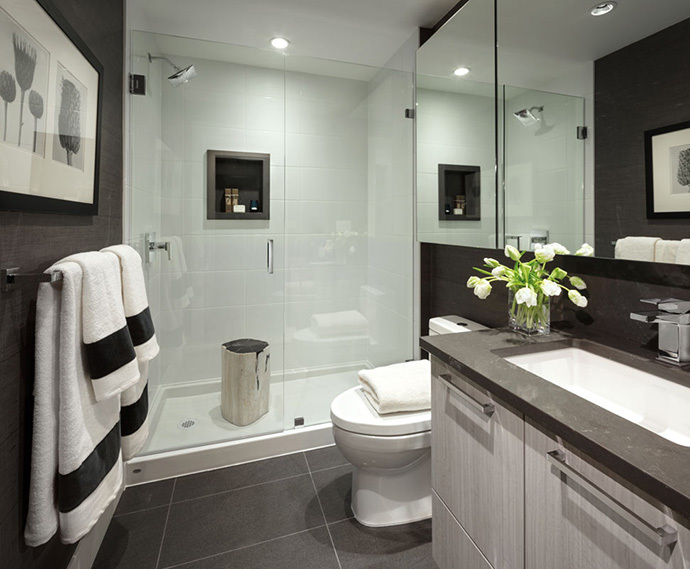 Other bathroom features include a water saving dual flush toilet, motion activated under cabinetry LED Lighting and vanity lighting for a well lit space. The kitchens at River District Avalon Vancouver condos include premium appliances, superior finishing detail and thorughtful design. The appliances are stainless steel and include a 24” Kitchen Aid fridge with bottom freezer in one bedroom ones or a 36” Jenn-Air fridge with French doors in two and three bedroom homes and City Homes. As well, there are 30” Jenn-Air gas cooktop, 30” Jen-Air wall oven with dual fan, Jenn-Air dishwasher and AEG-Electrolux Perfekt Glide 30” pull out range hood. Other kitchen features include Kohler pull down faucet and double bowl, under mount stainless steel sink, modern square edge cabinets and drawers with soft close technology. The counters are of quartz stone and there will be marble or limestone mosaic tiled backsplashes. The kitchens also feature recessed under cabinet LED lights, sliding waste/recycling bin system and electrical outlet with built in USB port. Please note that Avalon 2 is launching presales in late February 2017. There are a select few single level condominium residences and multi-level townhomes still available in Avalon 1.